Munao Festival, which is also called "Munaozongge Festival", means sing and dancing together in Jingpo language. 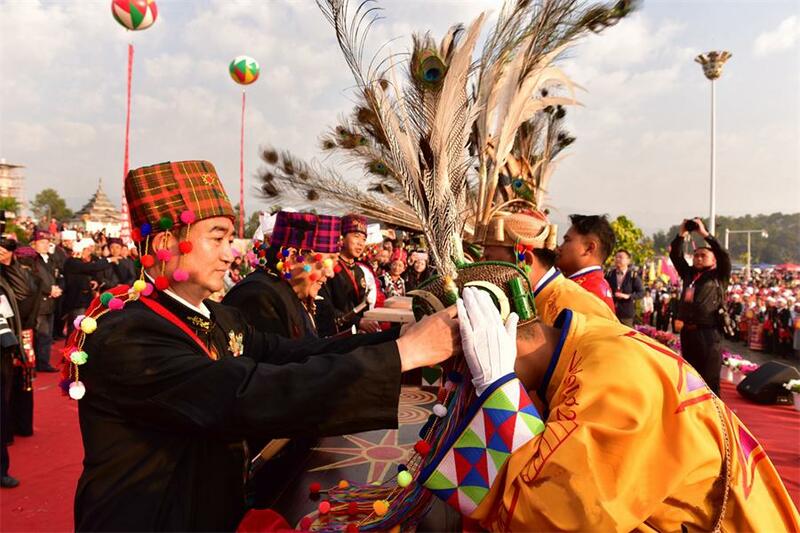 It is the most important song-and-dance pageant for Jingpo people to usher holy gods and exorcise evil spirits. During the Munao Festival people sing and dance to express their best wishes and celebrate good harvests. The festival starts on the fifteenth day of the first Chinese lunar month and lasts two or three days. 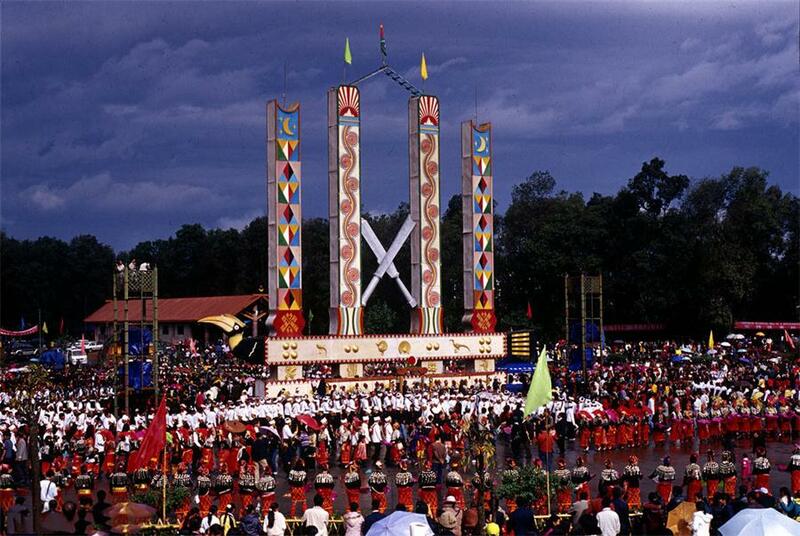 Munao festival activities are conducted around four erect Munao Poles. The patterns, such as square, brakes, the pictures of the Himalayas, crop and livestock, are painted on the poles. In front of the four erect Munao Poles, there are two hathpaces. According to Jingpo's legend, standing on the two hathpaces, people can enjoy a distant view of Himalayas, the homeland of their ancestors and can have an overlook of their future. As firelock signals start the festival and music of horns and flutes is played aloud, Jingpo men with broadswords in the hand and Jingpo women with colorful fans in the hand, led by a sacrificial ceremony master, wearing a long gown and feather-made headwear, line up and dance into the square, one moment striding proudly ahead and lowering their heads and detouring the next in forms of migration to commemorate the history.